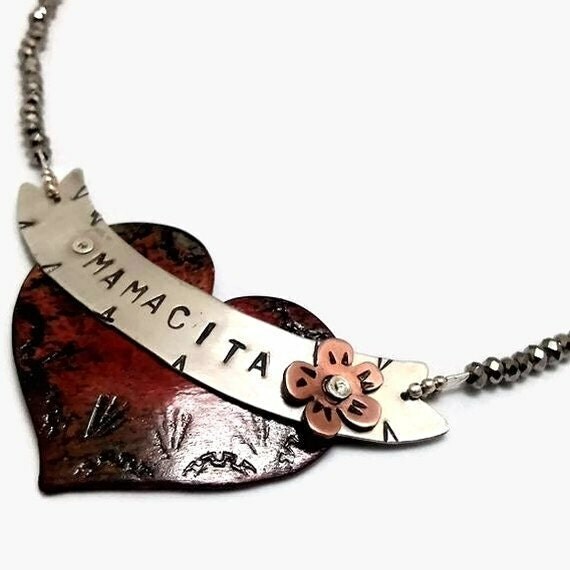 Wow, the Mamacita Heart pendant just got a flower! It's amazing what a flower can do! From the flowers in our gardens, to the ones we get from the local florist or farmers market, to the flowers we wear on our hair or clothing; flowers do brighten up our lives. I constantly sketch them in my designs. Well, let me tell you, the minute I added the copper flower to this pendant it became an instant winner. 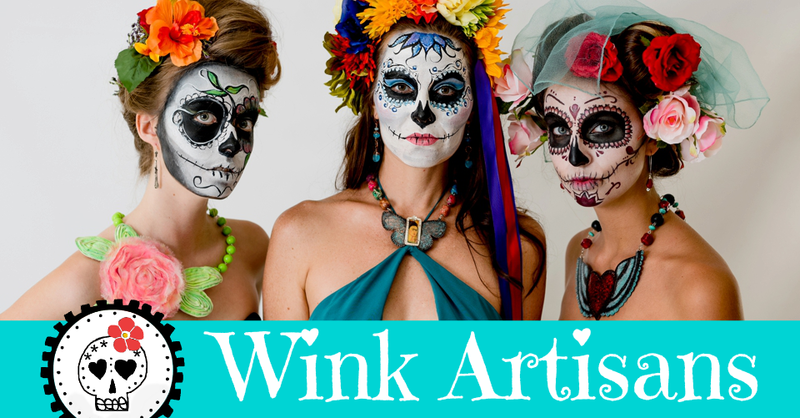 If you want it, hurry as I only made one and it is available at the Wink Artisans Etsy Shop. You works are all so beautiful and this pendant is gorgeous! Yes, flowers do brighten our lives!